People that come to Fukuoka tend to focus on Tenjin and Hakata. 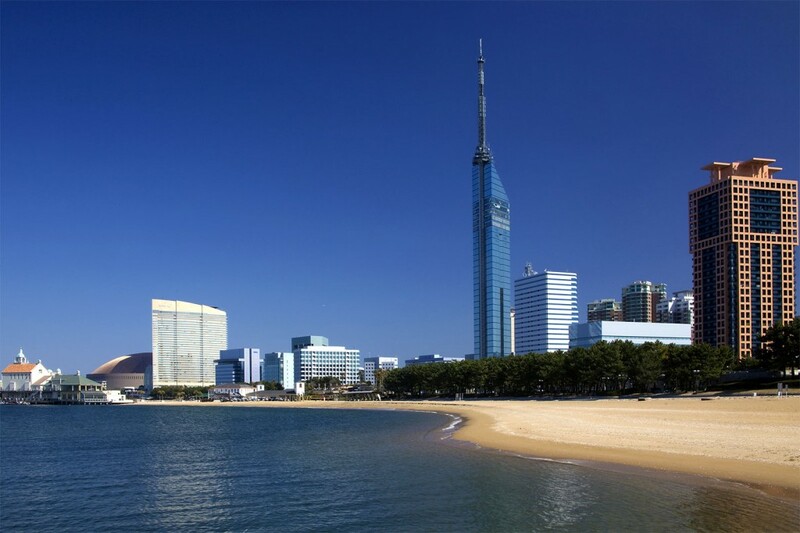 This is understandable because these two areas are very much the heart of the city; you can shop till you drop, see all of Fukuoka’s most famous temples and try all of its best food in these areas. It surprised me then, when a friend of mine came to visit last week and said, “Lets skip Hakata and head to Momochi instead!” Seaside Momochi (シーサイドももち) to give it its proper name is an area created in 1989 from reclaimed land along Hakata Bay in the north of the city. It’s an incredibly attractive part of Fukuoka with wide streets lined with trees, no phone or electricity lines above ground and plenty of interesting architecture to gaze at whilst you walk. This is exactly what my friend and I did when we first got there, strolling between buildings on the way to our first stop; Fukuoka Tower. 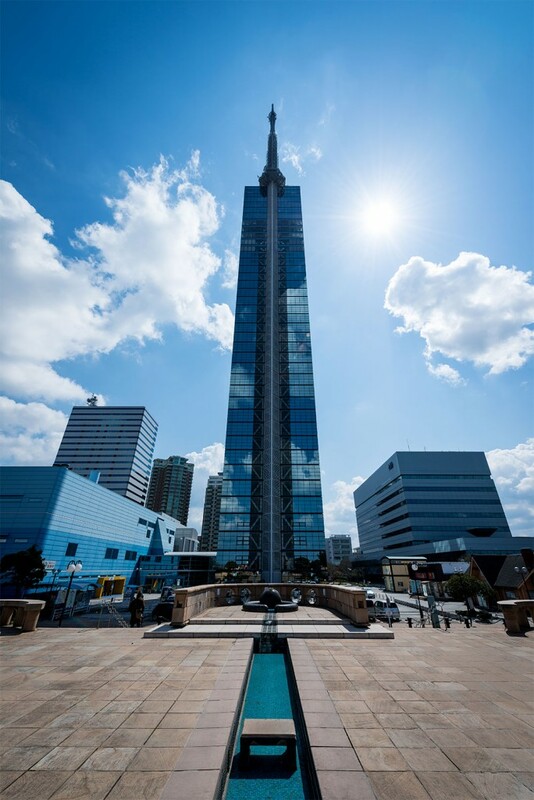 Fukuoka Tower is the highest seaside tower in Japan at 234m. It’s also the tallest building in Fukuoka and this is what makes the view from its observation room so stunning. You get a fantastic view of Hakata bay on one side whilst getting an in equally impressive view of the city itself on the other. From Fukuoka Tower we walked next to the Yafuoku Dome nearby. 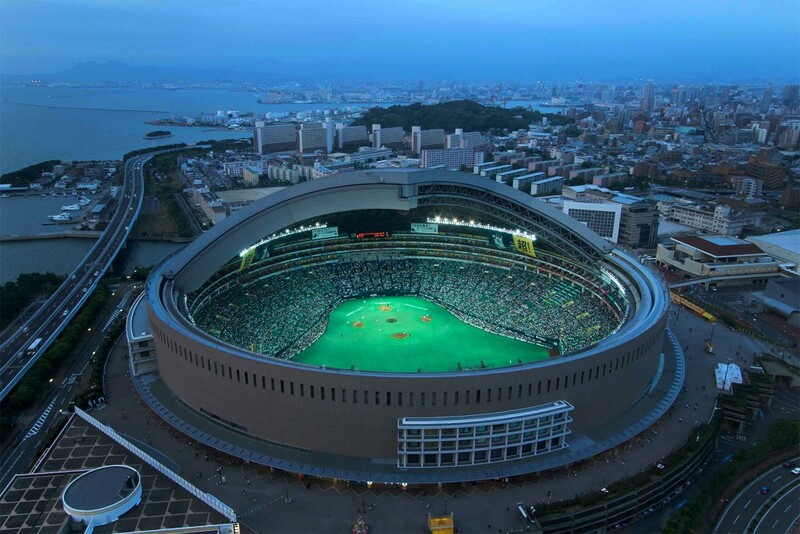 Yafuoku Dome is the home of Softbank Hawks. Catching a Hawks game is a lot of fun, and with plenty of people watching potential thrown in because of all the team’s crazy fans, even non-baseball fans can enjoy the game too! Of course if you are a huge baseball fan or even better, a huge hawks fan then there is even more to Yafuoku dome that may be of interest. Tours of the stadium are regularly run, led by Dome Queens; female staff members that show you around, including trips to the bullpen, locker-room, bench, field and fence. There is also a museum dedicated to Oh Sadaharu, a Japanese baseball legend, filled with memorabilia and information from his playing days for any baseball historians. Right next to Yafuoku Dome is Hawks Town Mall, a shopping center with plenty of restaurants and shops. It’s also the home of Fukuoka’s Hard Rock Café for any American’s craving a taste of home and Zepp Fukuoka, Fukuoka’s most famous live music venue. Of course to get to Yafuoku Dome you have to walk along Momochi beach. 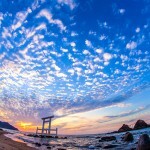 Full of people in the summer, Momochi is a man-made beach that is popular with people looking for a break from being in the city. Any time you walk along the beach you are sure to see families on an afternoon out, young people throwing a ball around and sometimes even the odd salaryman taking a break from work. 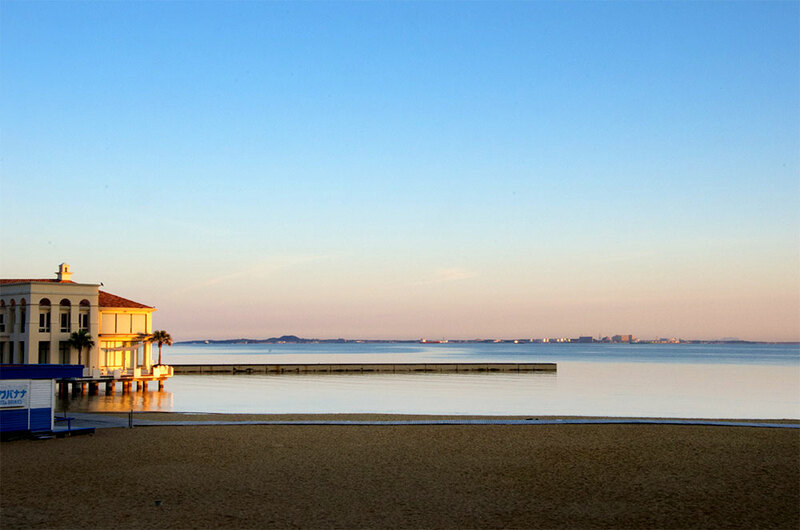 This is what makes Momochi beach so special; you can walk along the beach, looking at the sea, whilst eating an ice cream… just 15 minutes away from the hustle and bustle of Tenjin. Momochi beach is also home to the Marizon complex. The complex has plenty of great restaurants with open terracing to enjoy the seaviews. It also has a high speed ferry service that does from Momochi to Uminonakamichi in just twenty minutes, for those that really wish to escape the city for a few hours. A walk along the beach, taking in a baseball game or seeing a band perform live are all great ways to finish a trip to Fukuoka, and none of them can be done by staying in Tenjin or Hakata. Next time you come to Fukuoka then, don’t forget to visit check out Seaside Momochi otherwise you may end up missing out! Karaoke pro living in Fukuoka. 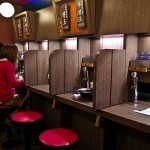 Summer Nights in Fukuoka: What to do when the weather is just right! From barbecuing to camping to a romantic dinner cruise, Fukuoka during the summer offers plenty of interesting and fun things for you to try. 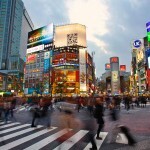 As we celebrate 500 posts we look at what makes living in Japan unique.